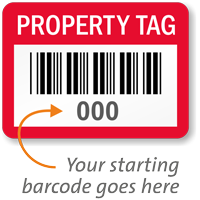 Header Property Tag Barcode Numbered Labels, 0.75in. x 1in. Available in Destructible Vinyl, this label breaks into small pieces if anyone tries to remove it! • Help thwart vandals. Destructible vinyl labels cannot be reused. 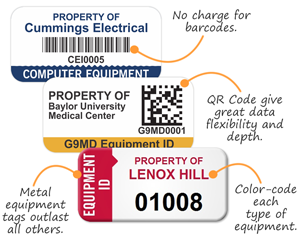 • These labels are prenumbered with barcode and human-readable digits to help you create a system to track your assets. • Select your label color and starting number of upto three digits. You have other materials too on the list. 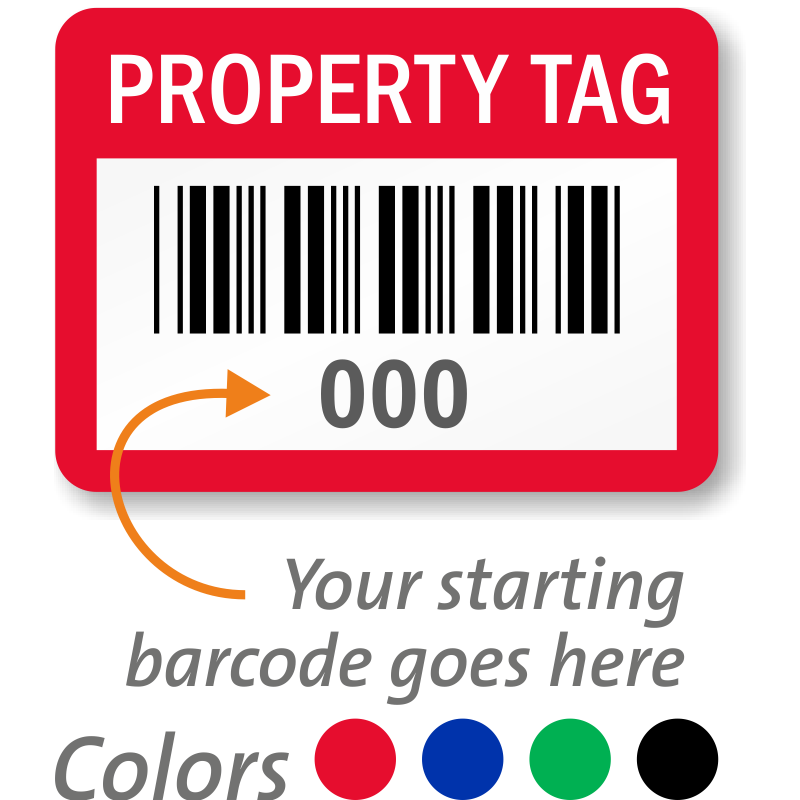 • All labels will be barcode numbered consecutively beginning with your starting number.